HPWD is now accepting requests for data to claim a cost-in-water income tax depletion allowance. 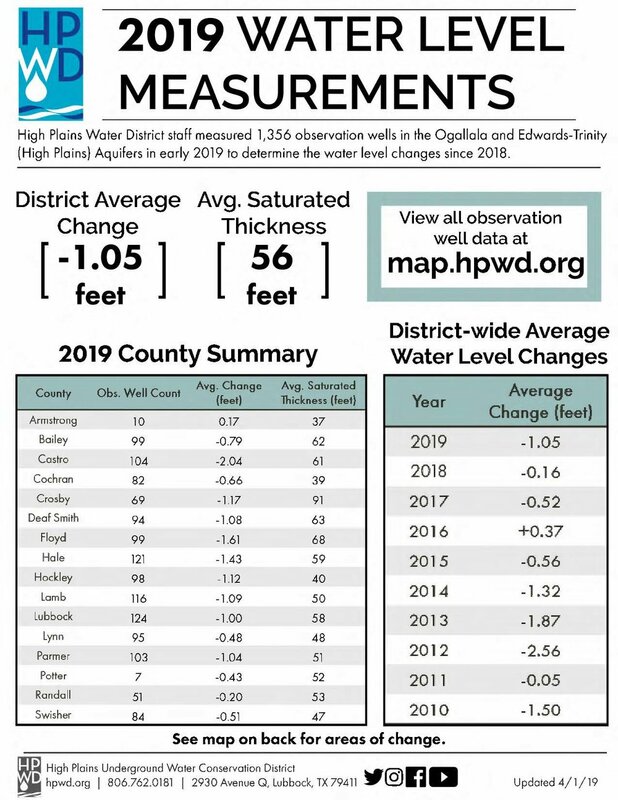 This yearly program uses annual water level measurements to determine changes in the water table throughout the District. The information is then made available to land owners for use in preparation of their taxes to determine if a loss of water under their property may constitute a tax break. ▪ Visit www.hpwd.org and browse to the “Water Use” heading. Select the “Water Depletion” link to find the Initial Request and Reorder Forms. ▪ To complete the form, you need to provide your contact information, legal description of your property, and the year of the land purchase. This information is used to determine the level of the water table (“saturated thickness”) when the property was purchased.
. ▪ If you normally have a tax professional prepare your return, you may also ask them to contact HPWD for your Water Depletion values. In Person or by Mail: HPWD, 2930 Avenue Q, Lubbock, TX 79411-1499. Please call (806) 762-0181 or email Jed@hpwd.org if you have questions or need more information. With tax season upon us, HPWD is now accepting requests for data to claim a cost-in-water income tax depletion allowance. This yearly program uses annual water level measurements to determine changes in the water table throughout the District. The information is then made available to land owners for use in preparation of their taxes to determine if a loss of water under their property may constitute a tax break. To participate in the program please follow the steps below. 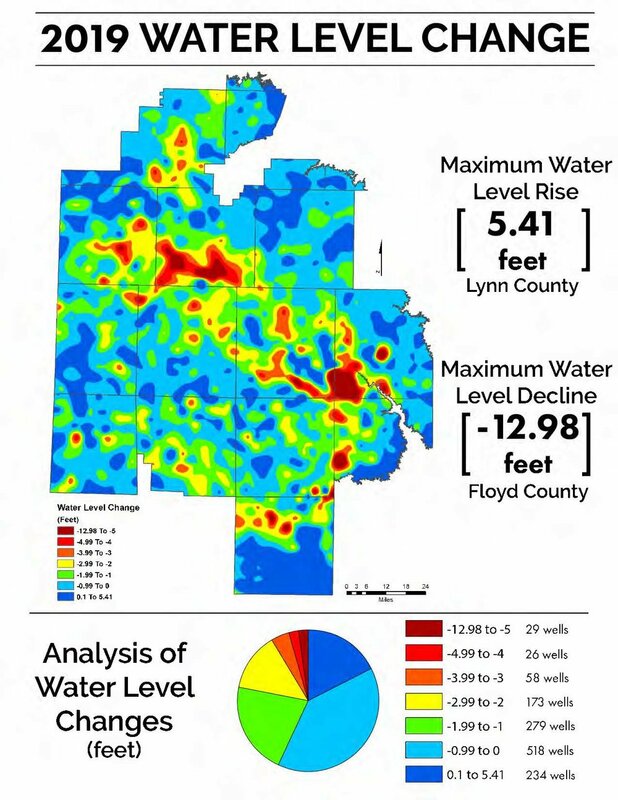 ▪ There is no limit to the number of properties that can be requested as long as they are within the boundaries of the High Plains Underground Water Conservation District. ▪ If you normally have a tax professional prepare your return, you may also ask them to contact HPWD for your Water Depletion values. ▪ If you would prefer a paper form, please call 806-762-0181 or stop by the HPWD office.